Wax print has long been a fashion staple for Africans, used to bring out our cultural styles. The modern African woman however, chooses to be more creative with her prints, playing with it in different ways. Love Ankara, is is a retail, fashion and decor brand that seeks to promote authentic African prints, empower women and preserve our local textile industries. 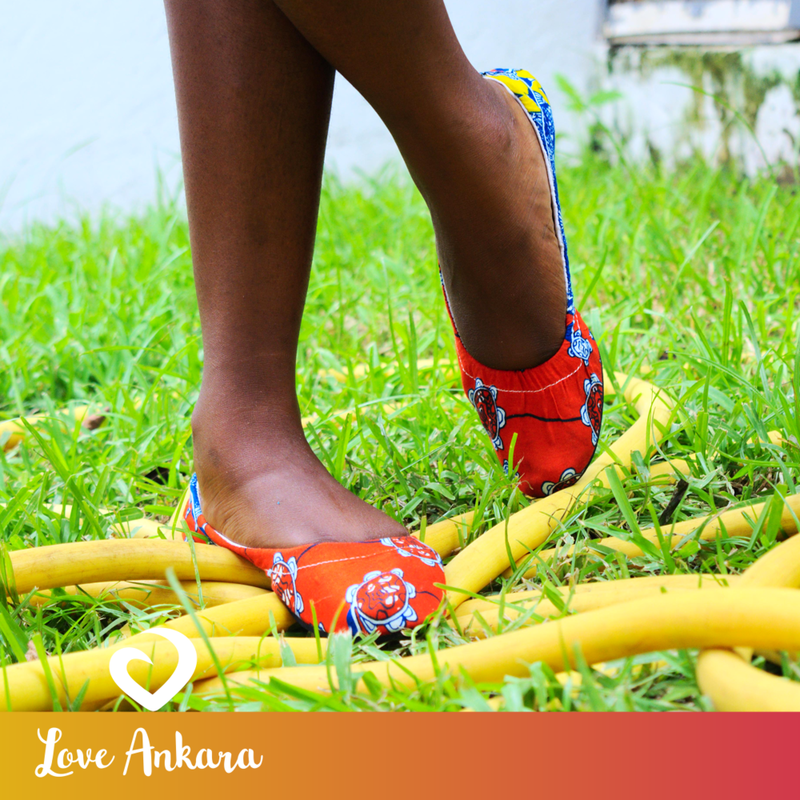 Love Ankara fabrics, shoes and accessories are worn by powerful, outspoken, daring empowered women the world over. Women who are not afraid to be authentic to be true to who they are. Got a pair of the Love Ankara ballet flats and boy did I make a statement! Amazing color pop addition to my outfit. Brands like this tell the story of the movement of our print usage. From straight up kaba and slit and dukus to now using them on fashion products such as shoes! The ballet flats are foldable, machine and hand-washable. They are made from premium leather and authentic limited edition African prints. The in-soles are soft and soooooo comfortable. The best part is that they are hand-made in Ghana. AS an owner of big feet, it was good to know that the shoes are availablein sizes 36, 37, 38, 39, 40, 41, 42, 43 and 44!!! Order the ballet flats or browse the Love Ankara products HERE.